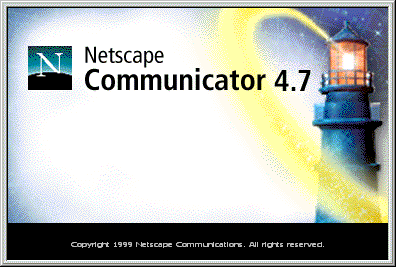 Netscape disappears on its Net Fans, for no good reason, maybe couldn't adapt to WIN 7 or WIN 10 or did GATES somehow change the game rules --- what happened to NETSCAPE THE WORLD'S BEST BROWSER??? 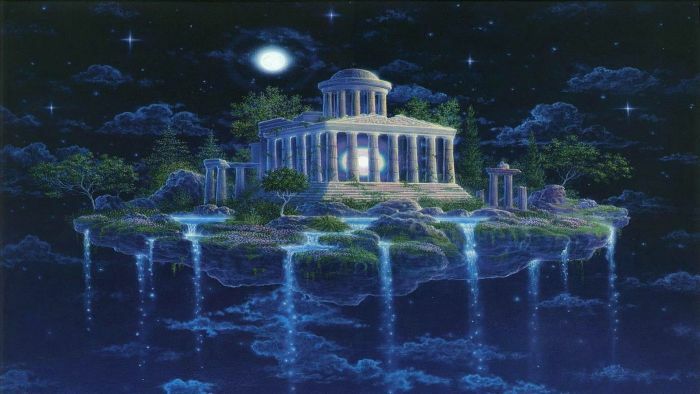 WORLD, -- LIKE A GREEK TEMPLE! in Cyberspace to crumble to dust. A relic--- only as the murder was going down, nobody told its users. Geographics Docudrama, "VALLEY OF THE BOOM." ( See it for free on your PC. was like a bio poison in the air, suffocating COMMUNICATOR. straight days of it in the wake of my relic not FUNCTIONING ANYMORE! who could be doing the spying? CIA, NSA is the most frequent paranoia. We curmudgeons offend a lot of people. So maybe they hire hackers. to do AOL and get revenues and nobody has the story online yet. young sisters like 8 and 9 --- once freshly downloaded JAMS the same way. MICROSOFT OS has been redesigned to attack like a puff adder. version, but the same glitches were in each, fresh downloaded yet freshly glitched! that sounded like a HACK from the outside, not a glitch. PROPELLER NET a PAGE 404 ERROR PAGE, THEN freeze. BYE BYE. and you sink down to your desk top, barely breathing. internet so their parent corporation AOL could send you whatever new browser they're peddling. It was logical. all, http://www.masterjules.net/hoaxtv.htm forcing you to buy CABLE SERVICES. them behind the curtain stacking up the bodies one by one. words? Had nothing to consult to find out what those mail paths were. So that was a wrong turn. I imposed one thing NO ADDRESS AT ALL IN MY BOOT PAGE please. That helped. No longer did it try to leap from BOOT up PAGE to PROPELLER 404. Now, I HIT MESSENGER its built in EMAIL. Went to MAIL 2 WEB.COM and sent myself a message. As long as I kept one message in there and clicked on it fast, i could keep the MESSENGER OPEN and working. plain one line message to myself. Means I have to use MAIL2WEB to get mail, using MOZILLA FIREFOX browser to get to that website. I've learned to watch tv holding an aerial over my head, to deal with Social Security cutting my fat 342$ pension check down to 285$ I can learn to live with no email coming IN but the bigger problem, I CANNOT look at some of my htm articles. IN NETSCAPE's HTM COMPOSER. If too many graphics, IT WILL JAM. BUT I was able to DO A NEW ARTICLE and add a graphic. THIS ONE HERE with Temple at the top for instance. temperamental in that area, crashing at java or coding. CODING TSUNAMIS! HTM COMPOSER won't handle DOCS. BUT I AM A NET WRITER so who needs DOCS? graphic of me, prostrate bleeding from all orifices. Sweating nails. Crash panic. A GATES VICTIM. Four million bytes of emails with movie star rock star clients they're fun. date, by name of sender, practically collate by the ideas.OR HEADINGS. NOTE: in 2019 NO EMAIL CLIENT CAN DO THESE THINGS. KNOW IT and is in a permanent snit about it. makes ya stronger, right? Just doesn't make your PC STRONGER is all. And theft really ruins friendships. on a cd and I got that Netscape to work fine. ( I WROTE THIS in 2001, but re edited it just now in JAN 2019). THE EMAIL POWERS were the ones I wanted back. Offering collation by date, size, name. dos thru ZTREE, go into INBOX and edit OUT that offending email. addresses where you can't see them so you click BUCK you get BA or BE or BI BUT LIST IS SHORT, NO BU. NO WAY TO GET TO THE BU's. SO I FORGET old friends as their name is BURR. And they forget me. architects to try their hand at something a bit spiffier than Google Chrome.